Amanda Matteo is a New York licensed physical therapist at Professional Physical Therapy. After graduating from New York Institute of Technology with a bachelor’s in Life Sciences (B.S.L.S. ), Amanda went on to receive her doctorate in Physical Therapy at New York Institute of Technology. Amanda has been practicing for 1 year. Amanda is also a member of the APTA and NYPTA. Ewa Bhola is a New York licensed physical therapist at Professional Physical Therapy. After graduating from Academia Wychowania Fizycznego w Krakowie with a master’s degree in Physical Therapy. 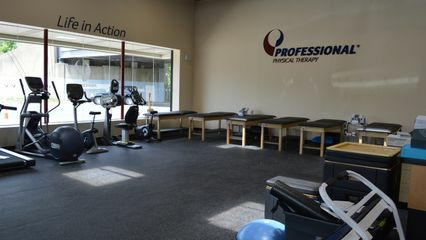 Ewa specializes in Manual Therapy, Orthopedics and Naturo-Therapy. Jessica Bart is a New York licensed physical therapist at Professional Physical Therapy. After graduating from Stony Brook University with a bachelor’s in Marine Vertebrate Biology, Jessica went on to receive her Doctorate of Physical Therapy at New York Institute of Biology. Jessica has been practicing for 1 year and specializes in Aquatic Therapy, Neuro rehabilitation, and Spine. Jessica is also a member of the APTA and Alpha Eta Allied Health Honor Society. Joseph Macchia is a New York licensed physical therapist at Professional Physical Therapy. After graduating from CUNY Queens College with a bachelor’s in Nutrition and Exercise Science, Joseph went on to receive his Doctorate of Physical Therapy at Stony Brook University. Joseph has been practicing for under a year and specializes in Orthopedics. Joseph is also a member of the APTA. Lori Karchinski is a New York licensed physical therapist at Professional Physical Therapy. After graduating from Neumann University with a bachelor’s in Athletic Training, Lori went on to receive her doctorate in Physical Therapy at New York Institute of Technology. Lori has been practicing for 12 years and specializes in Orthopedics and Sports Injuries. Lori has certifications include Certified athletic trainer, Certified strength and conditioning specialist and Certified kinesiotape practitioner.